Scott is a partner at Rimrock Capital Management, LLC, a SEC Registered Investment Advisor headquartered in Irvine, California. Founded in 1999, Rimrock manages assets on behalf of institutional clients and high net worth investors. Previously, Scott was Managing Director and Founding Partner at Metropolitan West Asset Management, LLC (MetWest), an employee-owned investment firm focused on fixed income portfolio management. He co-founded the firm in 1996, and served as Chief Executive Officer from 1996-2008 and as Chairman of the Board of Trustees of the Metropolitan West Funds from 1997-2008. Scott also served as Chief Executive Officer of MWAM Distributors, LLC, a limited purpose broker dealer affiliate of MetWest. Prior to founding MetWest, he spent 12 years as an institutional fixed income salesman with various Wall Street firms including Donaldson, Lufkin & Jenrette and Drexel Burnham Lambert. Scott holds designations as a general securities principal and a financial and operations principal. He received a bachelor’s degree in economics from University of California, Los Angeles (UCLA) and serves on the Board of Visitors of UCLA’s Department of Economics and the Audit Committee of the UCLA Foundation. 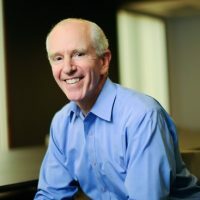 Scott participates on the Dean’s Leadership Council of the School of Social Ecology at UCI, and is currently the Chairman of the Board of Trustees of Lewis & Clark College of Portland, Oregon. Scott and his wife Laurie live in Newport Beach and have two adult children Alison and Evan.